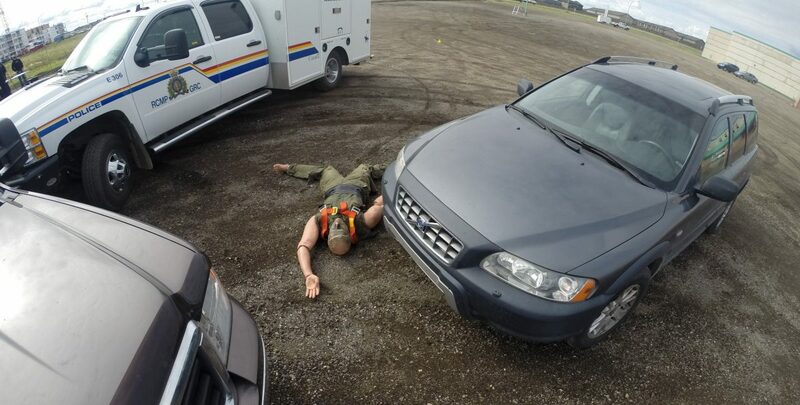 The Royal Canadian Mounted Police use drones to document collisions and crime scenes. But do they measure up to traditional methods? 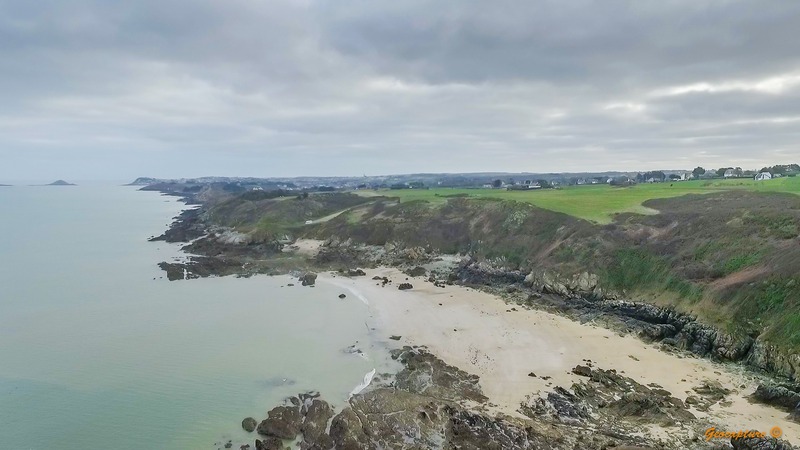 Drones and drone mapping allows investigations to be conducted under all weather conditions and provides broader views than traditional procedures. A demonstration project was designed to compare drones to traditional methods of surveying (measuring tape, laser scanner). 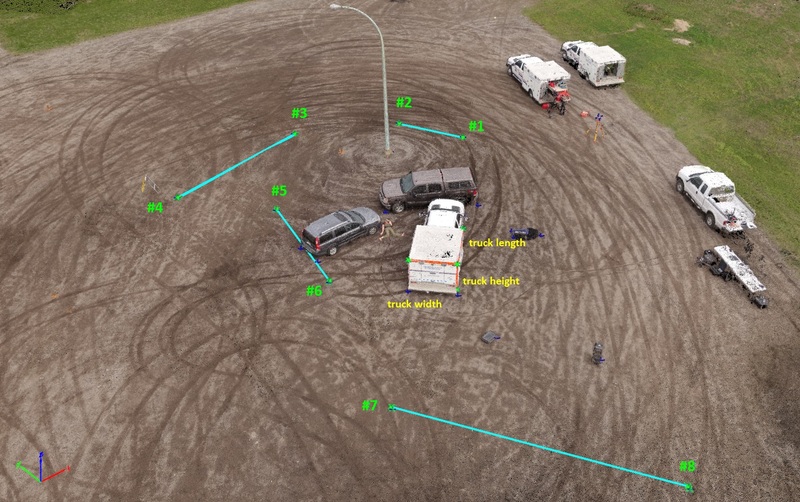 Measurements were taken with both drones and traditional methods to demonstrate the accuracy and reliability of the achieved reconstruction results so that they can eventually be used as admitted evidence in court. Two data sets of a made-up crime scene were acquired with quadcopters from Aeryon Labs and Draganfly. The ground sampling distance was less than one centimeter in order not to miss any details. The full flight took less than thirty minutes including the pre-flight preparation. Eight yellow evidence markers were placed around the collision scene, indicating the location where all evidence was found. Pix4Dmapper’s total processing time was approximately two hours on a laptop with a core i7 and 8GB RAM. 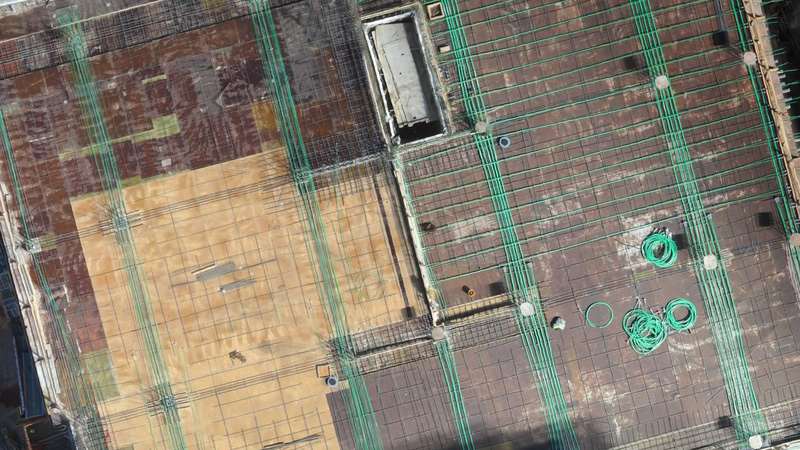 A densified point cloud, digital surface model (DSM) and orthomosaic were generated. Annotation and measurements were directly made in the software user interface. The reconstructed results either exactly match or are within one centimeter accuracy when compared with traditional methods (tape measurements and laser scanner). Detailed comparisons of results can be found in the White Paper. 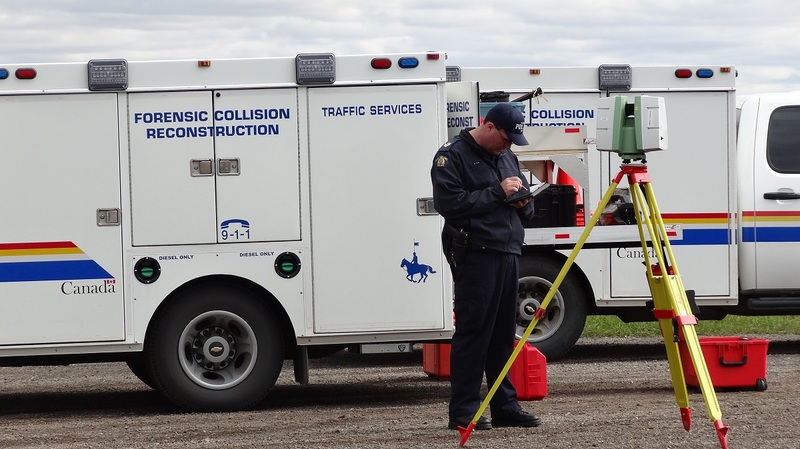 Using drones and Pix4Dmapper for reconstructing accident and crime scenes provides an immediate response, saves time and expenses and offers highly accurate outputs. Generated results are available permanently and users can access files files and make measurements anytime when required to. 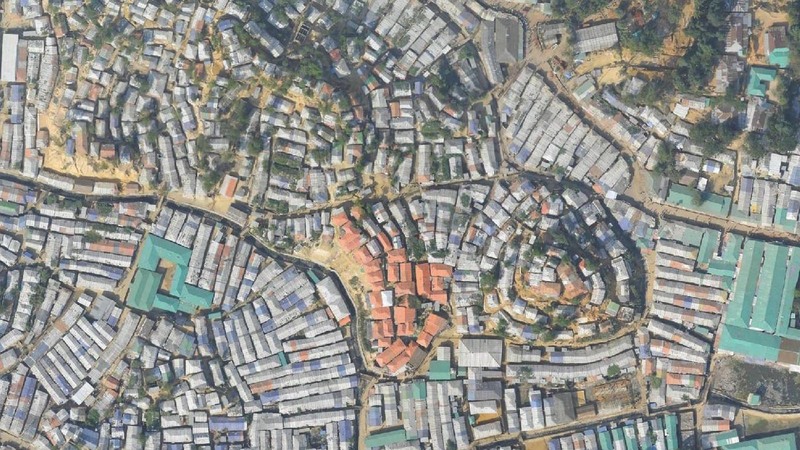 Actual scenes are preserved in 3D and with detailed information within centimeter accuracy. Read the full Technical white paper or view the full project video below. In addition and compared to other precision instruments such as laser scanners, the cost of execution and maintenance of drone mapping is much lower.